As the rollout of 5G begins, we dive into the differences and similarities between 5G and 4G, and how they can benefit your business. 5G, the successor to 4G, it being rolled out across the UK. 2019 Marks the first year of 5G rollout in six of the UK's largest cities, advancing the UK cellular network beyond the realms of 4G. But what is the difference between 5G and 4G and how can 5G benefit you and your business? At the moment, 4G has considerably more coverage than 5G as 5G is in it's preliminary stages of deployment. EE recently released it's plan to rollout 5G across the UK, sparking a new dawn of mobile network's and coverage. A map showing the 4G overage from the UK's largest networks. 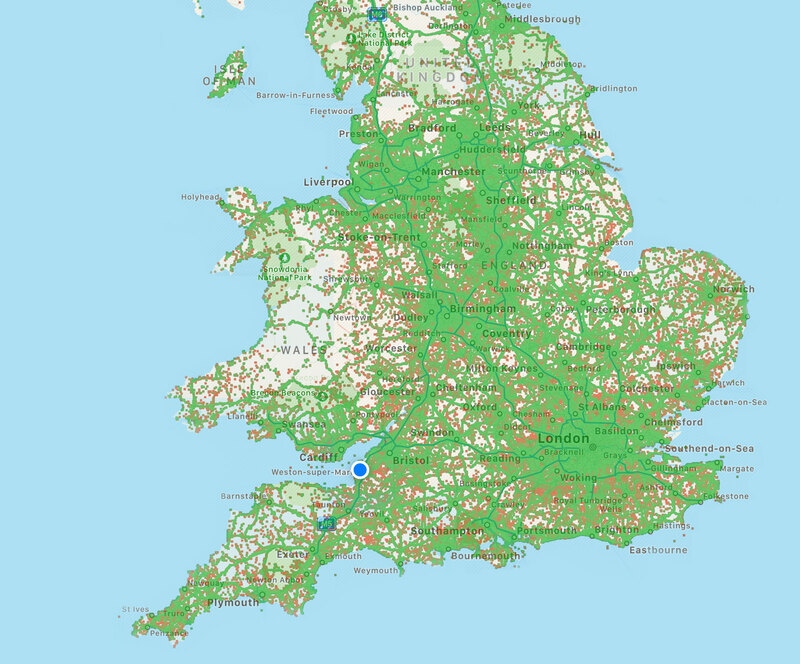 You can see that the coverage of 4G is fairly expansive, covering most of the UK. 4G has been around for many years and the UK's largest networks have built up their coverage over this time. 5G presents new challenges in terms of it's availability and rollout. 5G requires significantly more equipment than 4G, meaning that a full UK rollout will take time. However, the network's plan to run 5G in tandem with the existing 4G network; before switching over to a complete 5G network in some areas. The Government's aim is to have a full 5G network by 2025, with an initial consumer release in 2020. The main difference between 5G and 4G is the speed. 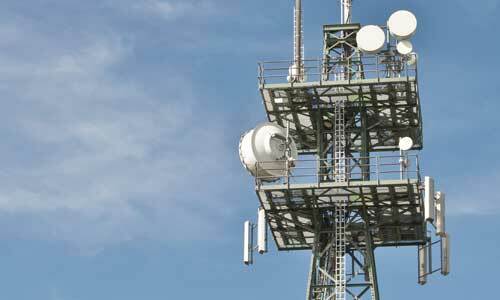 As the technology behind the UK's cellular network improves, as does the speeds it delivers. Since the first generation of cellular data, GPRS (2G), there have been advances in the cellular data technology, but 5G is the biggest game changer in terms of speed. The step from 3G to 4G saw a 3x increase in the speeds, with 3G offering a maximum download speed of 50Mbps, and 4G offering a maximum download speed of 150Gbps. Many would argue that another 3x speed increase is a good step up for the speed of mobile data. However, 5G goes way beyond 3x. The maximum theoretical download speed of 5G is 10Gbps (some argue this could be as high as 20Gbps when it comes time to rollout the full network). This is an increase of 100x compared to the speed of 4G. 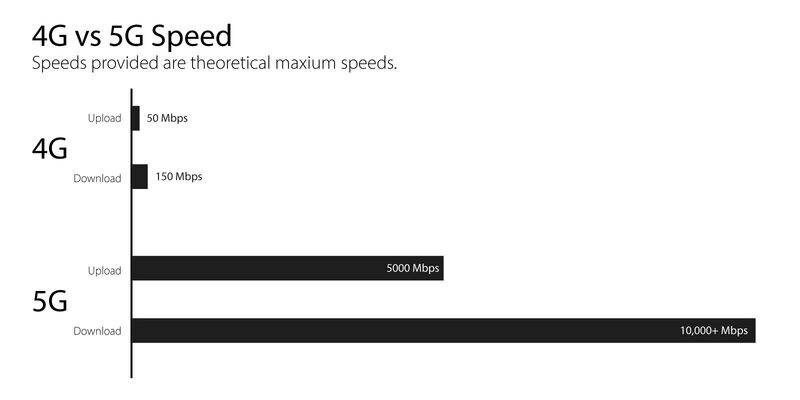 You can see from our graph that the speeds of 5G are vastly superior to 4G. These speeds can unlock a whole host of possibilities, from IoT applications to augmented reality and even self driving cars. To put it in a real world scenario, the higher speeds mean that you could, theoretically, download a full-length HD 800MB movie in about a second using 5G. Along with much faster speeds, 5G has lower latency. 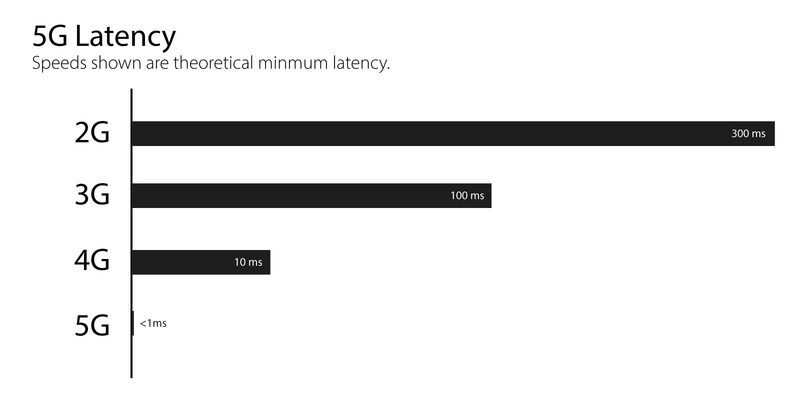 Latency is the delay between a request from a device and the response from the internet. A lower latency means faster load speeds as well as a reduction in buffering and lag in applications such as gaming and IoT. Latency is, arguably, a more important factor to 5G than speed. Although the achievable speeds are impressive, it is this <1 ms latency that can enable businesses to automate their factories, workflows and even IoT applications with incredible accuracy and high reliability. Whilst 4G is reliable for current applications and basic cellular data usage, 5G brings with it a wave of possibilities to automate, control, regulate and monitor machines, vehicles and even robotics on a massive scale. As we know, a significant portion of the UK is covered by the 4G network. But the reason 4G is widely accessible is because almost everyone has a mobile device capable of connecting to this 4G network. Since the iPhone 5 (2012) and the Samsung Galaxy S (2010), 4G has been the standard for wireless cellular communications and is built into every smartphone on the market today. 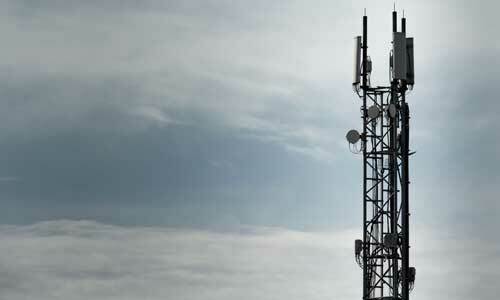 However, 4G phones will not be able to connect to the 5G network. Even Apple's latest iPhone Xs (2018) and Samsung's S10 (2019) do not have 5G communications built in - which serves as a big blow for the providers looking to rollout the first phase of 5G by the end of the year. 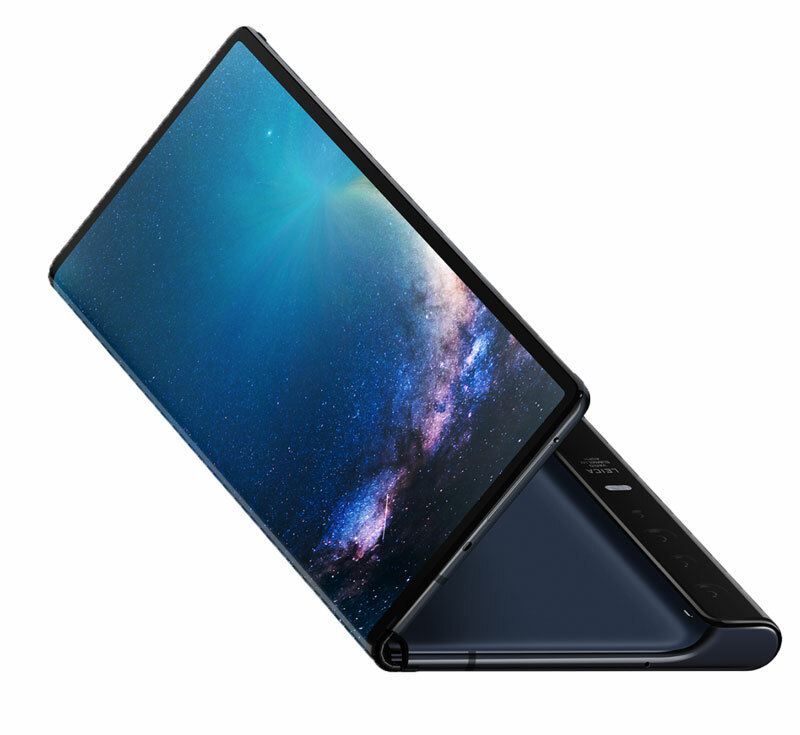 Dubbed 'the phone of the future', the Huawei Mate X is also one of the world's first foldable smartphones, with a screen that folds out into a 'tablet-size' screen, giving the user the versatility of a tablet, and the portability of a smartphone. Our recent article details the two new folding phones and how they can benefit your business. As with all technological advances, 5G is likely to be more expensive than 4G, especially for the UK's cellular network providers. There was a recent auction of 5G spectrum bands in which O2, Voafone and EE all paid upwards of £400m each for their access to the technology, giving them the ability to sell future 5G to consumers. 5G tariffs are likely to cost more than 4G tariffs, as they offer superior service and speeds to consumers. However, as the technology becomes widely available, these tariffs are likely to decrease in price. Handset manufactures such as Apple, Samsung and Huawei are likely to charge premium prices for their 5G enabled devices. Whilst 5G will only be available in high-end flagship smartphones initially, the inclusion of 5G technology in mid-range handsets is inevitable. Along with it's speed, latency and applicable benefits, 5G brings with it great benefits for businesses. One major benefit is mobile working. 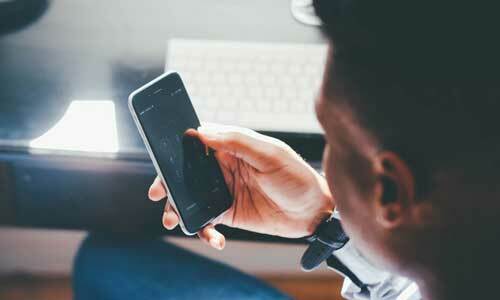 5G May help revolutionise telephony and mobile working for businesses with staff out on the road. 5G can bring ultra-fast, low-latency mobile working to your business, allowing employees to stay connected to the office, without the need to worry about connection speed. It is estimated that 5G will save the average person 23 hours per month in latency time. This kind of time saving has a great benefit to a business. Another 5G application that businesses may benefit from is automation using Machine 2 Machione and IoT technology. The internet of things is a developing category of mobile communication, providing every day 'smart devices' with wireless communications across the world. Businesses can make use of these applications to enhance their workflow and increase automation as well as monitoring and controlling remote devices. For more, please visit our Machine 2Machine page.